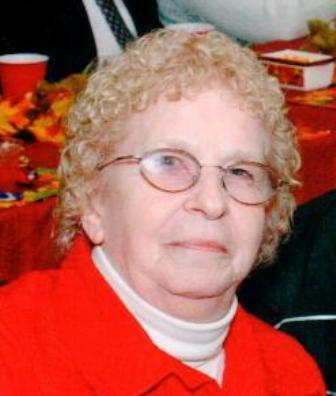 Shirley A. Case-Blackmon, 79, of Kill Buck, New York, died Sunday, April 20, 2014 at the Absolut of Salamanca, Salamanca, New York, following a short illness. Born December 4, 1934 in Salamanca, New York, she was the daughter of the late George and Mary Russett Smith. She was married on May 19, 2007 to Keith Blackmon, who predeceased her on July 11, 2011. Shirley was a graduate of Alfred State College. She was employed as a site director for Meals on Wheels and worked at Community Action for over 30 years. Shirley was a member of the Great Valley Senior Citizens. She enjoyed square dancing, drawing, painting, and spending time with her family. Surviving are: 4 daughters, Joyce Baker, Great Valley, NY, Cathy Case, Allegany, NY, Molly Griner, Salamanca, NY, and Becky (Dean) Yarnes, Great Valley, NY; 3 sons, David Case, SC, Ron (Aletha) Case, Detroit, MI, and Scott Case, Kill Buck, NY; a son-in-law, George Redeye, Kill Buck, NY; 2 daughters-in-law, Earlene "Dale" Case, Falconer, NY and Wilma "Willie" Case, NC; 19 grandchildren; 15 great-grandchildren; 1 brother, George Smith, AL; 2 sisters, Rae (Jack) Early, Springville, NY and Marsha (Larry) Mick, WV; many step-grand children and great-grandchildren. She was predeceased by 2 sons, Claude Case and Timothy Case and 2 sisters, Bonnie Shongo and Margaret Brown. Burial will be in Mt. Prospect Cemetery, Franklinville, New York.